Only three more days until the Push to Publish conference! Come on out this Saturday, October 10th, and say hello to Corinne Moulder and the many other talented literary folks who will be sharing industry knowledge and advice. 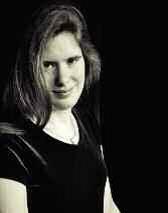 Corinne Moulder joined Smith Publicity in 2007. As Director of Business Development, her consultative approach, insightful recommendations, and tireless work ethic make Corinne a valuable part of our clients’ success as she develops aggressive, “out of the box,” creative, and successful media outreach plans. Corinne earned a degree in English from Ursinus College, with minors in Communications and Creative Writing. I’ve noticed that publicity campaigns for books tend to be either excessively sweeping, as with the recent case of Go Set a Watchman, or niche focused and modest. How do you discern which type of campaign a book deserves? Is it author recognition alone or merit based? At Smith Publicity we are selective about the projects we take on and look to each author/book as a unique entity. By evaluating the author’s background, the core themes/plotline/concepts, the author’s marketing goals and ongoing initiatives, publication date, etc., we’re able to whittle down which of our services might be a fit and then work with authors to tailor their campaign together with their support. In the case of the modest campaigns, what types of tactics/strategies will you implement? For modest campaigns, whether due to budget or recommendation of our team, we look to start with initiatives that help establish a foundation for the author to build upon. We typically begin working within the author’s local media market to build as this creates an obvious point of leverage for expanding into bigger regional and national markets. Additionally, targeting online book reviewers, bloggers, and genre-specific print reviewers increases the chance to start building the number of reviews. Are television, print, and radio still the preferred avenues of advertising or have web campaigns surpassed these older venues? We do not participate in any advertising opportunities. From a PR perspective, however, we absolutely incorporate outreach to TV, radio, and print media contacts when relevant. Traditional media coverage offers lasting credibility as clips, articles, and mentions are often shared on the web. Given the glut of content available free on the web, have you increased the use of inbound techniques? If so, please provide an example. We have tapped into many of the great resources on the web to support our services—especially for works of fiction. NetGalley has become a staple enhancement in our fiction services. Through the great connections we’ve made with bloggers and online reviewers, we’ve also added organized blog tours to our fiction services. Many book clubs have gone virtual which allows for the opportunity to connect with club coordinators across the country to pitch our authors. We’re always scoping out new ways to support our authors and are, of course, open to their ideas as well! How has the increase in self-publishing affected your profession? The boom of self-publishing has greatly benefited book publicity. We’re now able to work with top talent who may never have been able to bring their book to market had it not been for the support of self-publishing. Furthermore, media and reviewers have embraced self-published authors which provides publicists with a much more expansive pool of contacts to pitch on behalf of their authors. What type of book has the greatest likelihood of success in the present market? We don’t discriminate! There is a market out there for so many books and, upon evaluating the criteria for a campaign (author background, goals and expectations, publication date, and more), we work quickly to identify the potential a project has before we take it on. The key is creating a plan that targets the most applicable media contacts and reviewers for the subject/concepts of the book. How much do a book publicist’s services cost? Services range anywhere from $300 to $4,500 per month, depending on the scope of the campaign, the level of publicist involvement, and marketing support service enhancements. Is book publicity a thankless business? No! We’ve been so fortunate to work with many, many authors who strongly believe in our team and our services. Here is just a sampling of testimonials we’ve received from authors we’ve represented: http://www.smithpublicity.com/testimonials/. We love the work that we do and it shows. One of the busiest times at Push to Publish is the speed date sign up at registration. How do you know which person to meet with? How can you get the most from your time? Below are some quick tips to help you prepare. 1. Are you ready to meet with an agent? This is the most frequent question we’re asked during sign up. Although agents like to hear your book ideas during the day’s many networking opportunities, they really don’t want to see your work unless you have a completed, polished, edited book that they can start pitching tomorrow. You will make a far more positive impression by saying hello to an agent during a network opportunity like meals, after our “meet the agents” closing session, or at our a cocktail reception. Take the time to share your idea. Don’t be afraid to swap cards, and do keep in touch with the agents once you’re ready. 2. Do your homework. Read through the agent and editor bio page, and make at least three choices. If you do not have a finished, completed, polished book ready to pitch to an agent (see #1), look for an editor who reads the kind of work you write. Do you write memoir? Experimental poetry? Historical fiction? We have a team of terrific editors available to offer valuable feedback that you can use to achieve the finished work mentioned in #1. Many attendees have had their work picked up after meeting with one of these terrific editors. Again, don’t be afraid to swap cards and keep in touch after the conference. 3. Be prepared. Bring no more than 10 pages of a manuscript, and be able to describe your work in just a few sentences. What makes your work unique? Who is your audience? What makes you uniquely qualified to write this work? You can get a lot accomplished in 10 minutes if you arrive prepared. 4. Have fun! Have I mentioned that we build in lots of networking opportunities at the Push to Publish conference? Introduce yourself to a stranger. Sit down with new friends at lunch and talk about your writing goals. Are you looking for a book club? A writing group? What other support do you hope to gain after the conference is over? We cannot emphasize enough the value of using the Push to Publish conference to grow your professional learning network as a writer, no matter where you are in your craft experience. We look forward to seeing you on October 10! With only a few weeks left until this year’s Push to Publish conference, it’s time to start prepping for your perfect pitch. Many of you are facing the same difficult questions: How do I stand out from the crowd? How do I best represent my work? Literary agent Katharine Sands will be offering a one-day workshop the Friday before Push to Publish to help answer these questions (Click here to register for her workshop), as well as joining other agents and editors to participate in the Saturday conference’s “speed date” session. Below, Katharine offers some helpful tips on how to craft your pitch. Does my book idea feel fresh enough? If yes, what in particular do you like? If no, what seems too generic? What is my most interesting point? Which area needs the most work? What would make this stand out? What was the first red flag, or reason that would prevent you from wanting to read—and represent—me? Use the pitch to deliver enough of the flavor of the book to whet the reader’s appetite for more. Show what we can learn from you about how to handle this life problem or challenge. Tell us: What do I do differently after I read your book, what could I not figure out without you? Show how much texture, how much scope there is to the subject. What are three quick tips or hints of the “practical and prescriptive” advice to come? Speak about a topic or nonfiction subject or memoir showcasing the groundbreaking, or new, focus you can encapsulate and state clearly. Keep calm and carry on even—if it appears the agent is getting glassy eyed, eyeing the bar, or squirming as if her buttock or her foot has fallen asleep. Don’t leave home with a “money shot,” a clear, core point about why this book will find readers. Ramble, or use many prefaces or qualifiers. Rely on reviews or references from gurus, editor feedback, or spousal support. I’m happy to say that Philadelphia Poets’ 2015 issue, Volume 21, is now available. A celebratory Book Launch will take place on Wednesday, May 20th, when many poets featured in the issue will be present to participate in the reading and autograph the new issue. Volume 21 contains 176 pages of the poetry of 54 poets, including a special section of Italian/American poets. The front cover features the work of Julian R. Fama, entitled “Self-portrait Collage: Reincarnated,” which ties in with the special section, as do two inside illustrations by John Costanza, noted artist and sculptor. Judge ML Polak has made her selections for the 9th Annual John and Rose Petracca and Family Award, and the winners will be announced soon. The votes for the 10th Annual Amy Tritsch Needle Award, selected by readers, will also soon be announced. The winning poems were in the 2014, Volume 20 issue of Philadelphia Poets. More about the June 10th reading after the winners have been notified. Cost per issue is as follows: $20, $15 for senior citizens, and $10 for those whose work appears in the book (after they’ve received their complimentary copy). If mailing is necessary, add $4 postage and handling in the U.S.A. Checks should be made payable to Rosemary Cappello. Emily Cole is this year’s winner of the Sandy Crimmins National Prize in Poetry. She was kind enough to sit down with us and answer a few questions about her process, plans, and love of poetry and music. Congratulations on winning the Sandy Crimmins National Prize in Poetry for your poem, Self-Portrait as Rapunzel. Can you tell me about what inspired you to write this poem? Thank you! “Self-Portrait as Rapunzel” is, in many ways, a family poem, so it’s mostly inspired by my relationship with my mother, and, of course, from the fairytale itself. However, one of the poem’s most direct influences is the book The Unexplained Fevers, by the wonderful Jeannine Hall Gailey. The book features a lot of Rapunzel poems and I was reading it just before I drafted my own Rapunzel poem. My poem is not a direct response to any of Gailey’s, but there’s definitely a visible influence. I thoroughly enjoyed the language of Self Portrait as Rapunzel. I found it playful, yet challenging, and enjoyably metaphorical, but without sacrifice to narrative. When you write, do you tend to focus on any one particular aspect over another? Whether it is tempo, sound, story, structure, etc.? Absolutely. Before I was a poet, I was (and am still) a musician, so the music of language is always the first thing I focus on when I’m writing. One of my favorite things about poetry is the way poets pay such careful attention to sound in their language. Sound is always one of my first considerations. Narrative though – that’s harder for me. Much of my work has to go through a lot of drafts before I can tease out a consistent narrative. Fortunately, Rapunzel lent itself very well to narrative, since the poem is partially modeled on the fairytale. When did you first discover your passion for poetry? This is a hard question to answer! I’ve loved reading poetry since I was a small child and I’ve been writing it for as long as I can remember. I was always writing poetry during free writing time in elementary school, and all my study halls in high school were more devoted to sonnets than to textbooks. I didn’t really become serious about writing poetry until my last year of college though, and now that I’m in an MFA program, I can’t imagine doing anything else. If you could control the affect that your work has in the reader, what affect would that be? I’m a firm believer in the power of art – any kind of art – and its ability to inspire empathy in its readers (or viewers, or listeners). I think that poetry, given its compressed nature and attention to beautiful language, is perfect for showing us reflections of ourselves and helping us empathize with one another. So that’s what I’m going for when I write: I want to inspire empathy, or, at least, powerful emotion. Ideally, that emotion will lead readers to produce some art of their own. As both a poet and a songwriter, how do your approaches differ in respect to each medium? I adore both mediums, and they definitely inform one another – my musical knowledge helps me with sound and rhythm and narrative tension in my poems, and my background in rhyme and meter are invaluable in my songwriting. However, I think of these two mediums as very distinct from one another. I like to think of poetry as something closer to a two-dimensional medium and music as more three-dimensional. In poetry, I’m concerned with sound and line breaks and the way it looks on the page, but all I have to worry about is words. In songwriting, though, I have to think about lyrics, melody, layering and arranging the other instruments… It’s a very different thought process. I think that, in general, lyrics are easier for me to write because I usually build them around a backbone of melody and I don’t have to worry so much about the individual sound structure, since the music and phrasing is generally more important. That’s the wonderful thing about songwriting – poetry is pretty static unless you change the words, but music can be rephrased and reshaped; it’s different every time. What are your plans after completing your MFA at the University of Southern Illinois? My long-term goal is to become a creative writing teacher. This year, I have the privilege of teaching one section of Introduction to Creative Writing and I absolutely love it. First though, I need to work on my poetry thesis. I’ll be entering the final year of my MFA next fall, which means I’ll need to produce a book-length thesis. I haven’t quite decided on the exact shape of the book yet, but it’s likely that “Self-Portrait as Rapunzel” will be included!